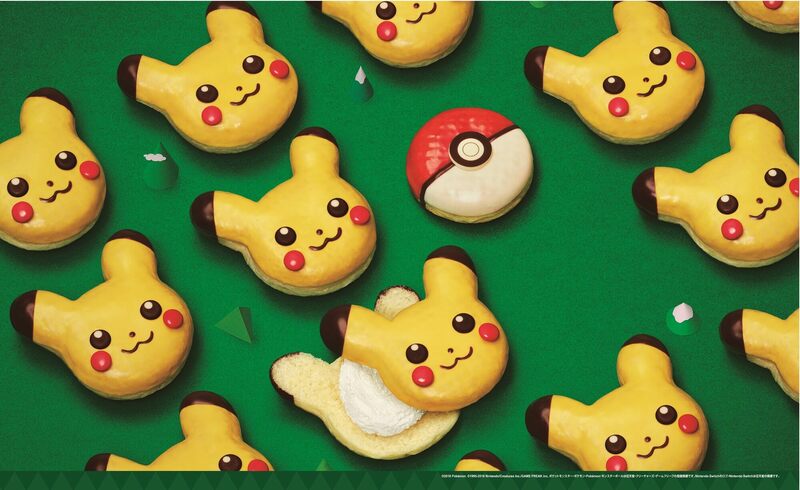 Mister Donuts joined hands with the upcoming video games Pokémon: Let’s Go, Pikachu! and Let’s Go, Eevee! on October 12 for an ongoing 5-month collaboration where they are released a range of products and merchandise. Two new Pokémon themed doughnuts are hitting the popular doughnut chain on November 16. 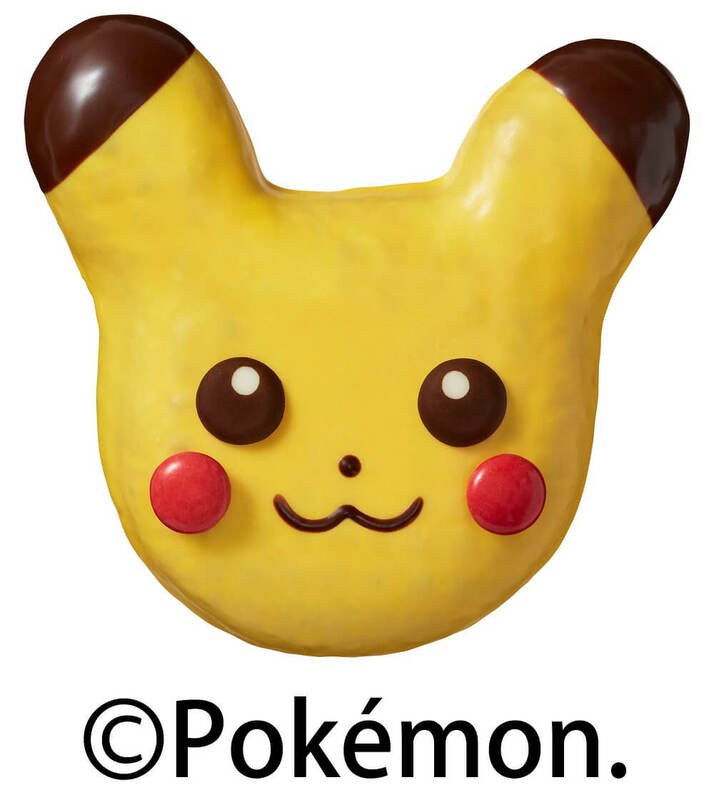 These cute Pikachu doughnuts have a fluffy dough texture and are coated in banana flavoured chocolate. The black ears, red cheeks and black and white eyes are also made of chocolate. The top half of these fluffy-textured doughnuts are coated with a strawberry glaze while the bottom half is made from white chocolate. 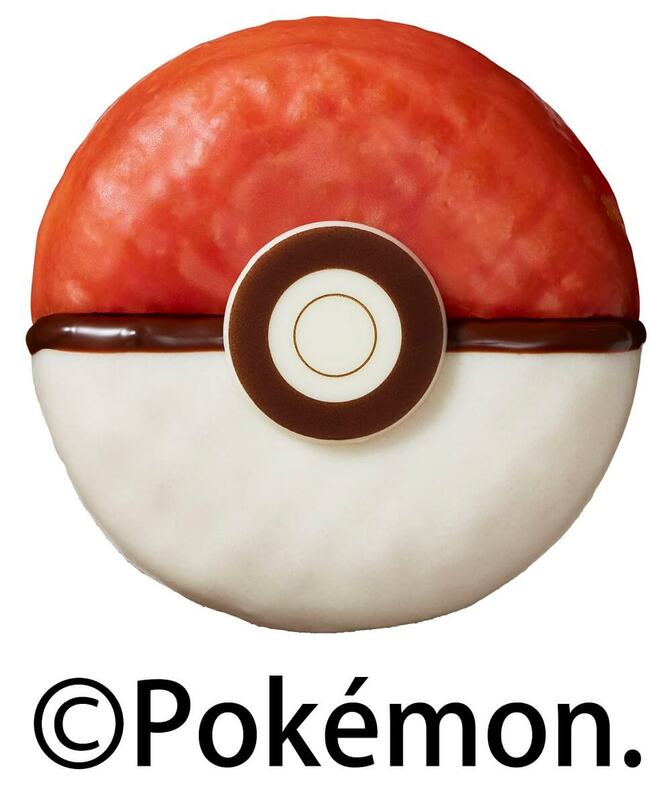 It looks just like a Poké Ball! Pokémon: Let’s Go, Pikachu! and Let’s Go, Eevee! will be released worldwide on November 16, so be sure to pick up some Pokémon themed treats to enjoy while you play!